There are at least 2 artists: 1. LSG was a urban R&B musical supergroup, comprised of legendary R&B artist Gerald Levert, Keith Sweat and Johnny Gill. 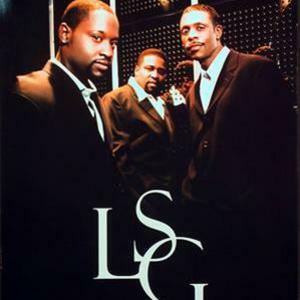 The group's name "LSG" is derived from the first letter in the last name of each artist (Levert, Sweat, Gill). LSG released its first album in 1997 titled "Levert.Sweat.Gill". With the chart-topping single "My Body", the album quickly went platinum. LSG released a follow-up album in 2003 titled "LSG2". 1. LSG was a urban R&B musical supergroup, comprised of legendary R&B artist Gerald Levert, Keith Sweat and Johnny Gill. The group's name "LSG" is derived from the first letter in the last name of each artist (Levert, Sweat, Gill). LSG released its first album in 1997 titled "Levert.Sweat.Gill". With the chart-topping single "My Body", the album quickly went platinum. LSG released a follow-up album in 2003 titled "LSG2". 2. Frankfurt based DJ & producer Oliver Lieb (born on April 13, 1969) used the alias LSG (playing hard techno/trance) from 1993 to 2007, where he discontinued the name. The correct tag for this artist is L.S.G.